New "Previous" and "Next" links and a "jump to" menu make it faster and more intuitive to move from one item in your course to another. In our experience, you'll want to slow down a bit when reading forum posts to be sure you're selecting the next forum post and not the next course element! See an example on the next page. Take care when using links in discussion forums—it's easy to click on a link for the next item instead of the link for the next discussion thread. If you're enrolled in numerous courses, finding the course you're looking for just got easier! 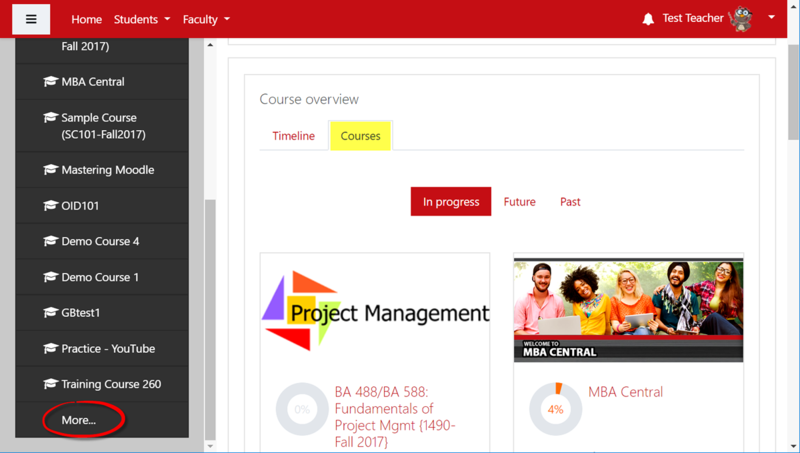 If a course link does not appear in the list of courses in progress in your left navigation panel, clicking on More... at the end of the list will now bring up your dashboard, allowing you to select the In progress, Future or Past tab to locate the course you need. 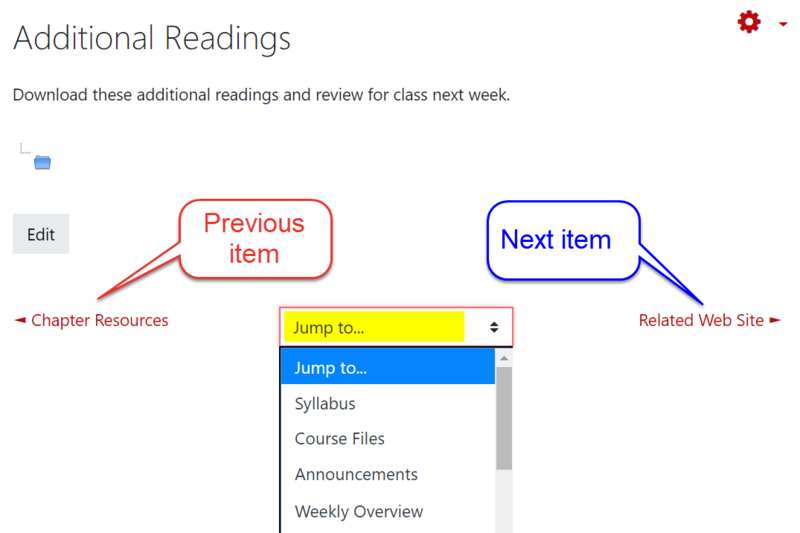 Remember, you can always bookmark a course main page for quick retrieval. 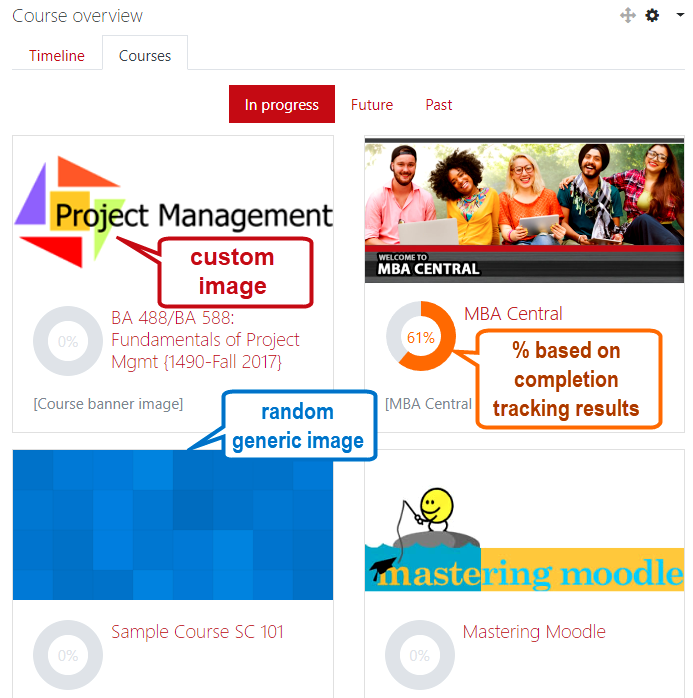 In 3.5, courses in the dashboard are highlighted with images. While abstract images are randomly assigned to courses, instructors can add a customized image to a course. As with our prior version, the dashboard includes a course completion indicator. Note that this dial represents your progress in the course based on certain activities that you have completed. Your instructor may or may not indicate specific completion settings for course activities, so the course completion dial may not accurately record your progress in the course overall. 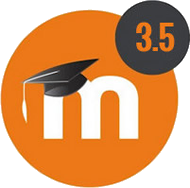 With this version of Moodle, you're now able to record brief audio or video clips if you're using the Atto editor. Any user can record up to two minutes in an audio or video file in any textbox that includes these tools. 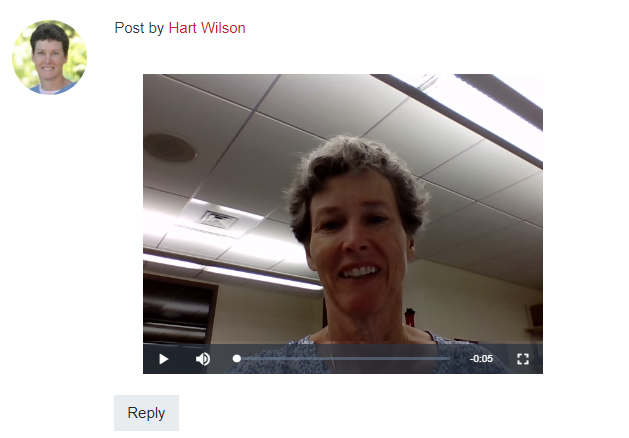 To create an audio or video recording of up to two minutes, open a textbox using the Atto editor and click on the Show/hide advanced buttons icon on the left side of the toolbar to display more tools. Click on the appropriate icon, then click on the Start recording button. When you're done speaking, click on Stop recording, then click on Attach recording or Record again, depending on how happy you are with the result. 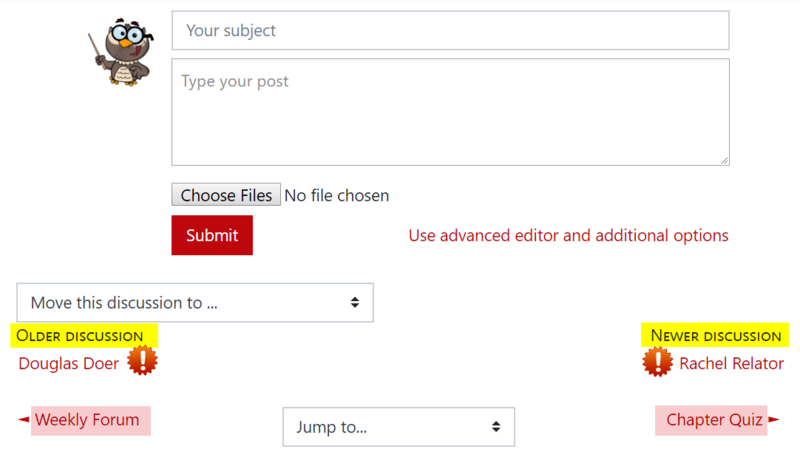 Note: In a forum post, click on Use advanced editor and other options to open the Atto editor.